Dr Pepper Dallas Cup XL will once again feature elite boys teams from the U.S. and across the globe. Preliminary round games will be played at the Classic League Soccer Complex at Richland College and the new MoneyGram Park in Northwest Dallas. At the request of many college coaches, every attempt will be made to schedule the majority of the under 17 games at one complex. Brackets and Schedules are planned to be available on the website approximately 2-3 weeks prior to the tournament. Please continue to visit the Dallas Cup web site for the most up to date information. There will be a Pro Scout/College Coaches hospitality tent at the Classic League Soccer Complex at Richland College. 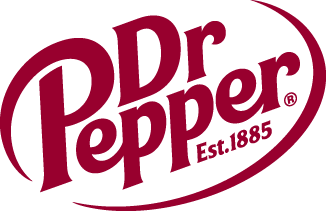 College Coaches: Click here to register for the 2019 Dr Pepper Dallas Cup. Each Pro Scout/College Coach that has pre-registered on-line will receive a packet that includes a Dr Pepper Dallas Cup XL Official Program, one credential to all stadium games, an invitation to the Welcome Reception Saturday evening, and an invitation to Casino Night on Thursday evening. Packets may be picked up at the hospitality tent during the hours of operation posted above. Once you have registered and been approved, you will have access to all Player Profiles in the U19,U18, U17, and U16 age groups. Pro Scouts: To register for the 2019 Tournament and receive your benefits please fill out this email.